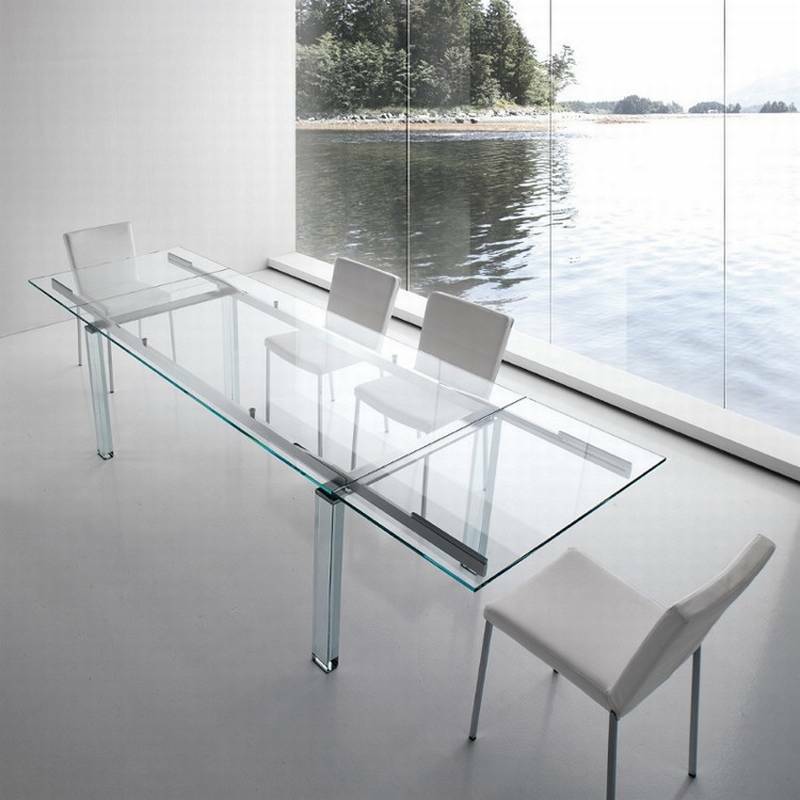 Description An exquisite extendable table with top and two extensions in 12mm thick tempered glass (transparent or extra clear). The extending mechanism, made from steel and aluminium, allows the simple extension of the table on both sides. The thick glass blocks legs give this table an sturctural stability and visual lightness. Aluminium or leather covered legs can be supplied on request.